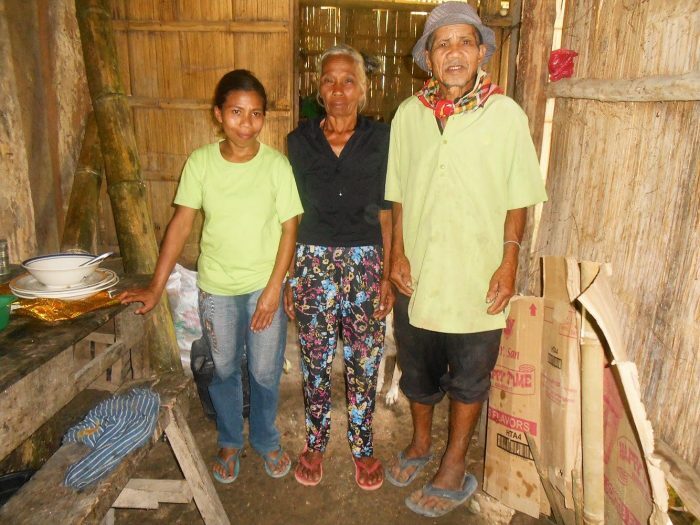 Milagros lives in Koronadal with her husband, children and parents. In her family, money was hard to come by. Her husband, Enrico, worked as a farmer and brought home PHP250 (US$4.60) per week, which was barely enough to cover the expenses for their family of seven. Sometimes, she accepted laundry jobs from her neighbors and earned PHP50 (US$0.90) for her service, but that opportunity did not come up regularly. When a neighbor told her about Transform, she first expected that the program would be like a formal classroom. She was both excited and nervous, since she did not know how to read and write and had not set foot in a school since she was a child. After attending one meeting, she realized that the lessons taught in Transform were easy to understand and applicable to her life as a wife and a mother. 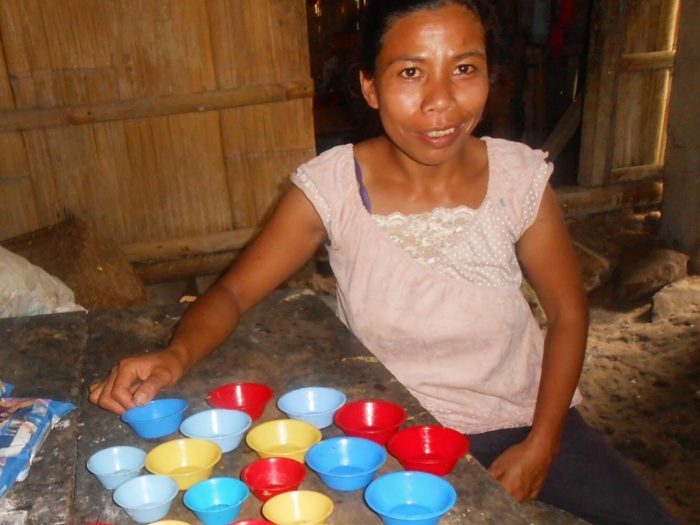 What she appreciated the most was learning new skills from Transform to add to her family’s income. The livelihood lessons helped her acquire new skills like cooking snacks. Now, she makes 50 pieces of puto cheese (steamed rice cake topped with cheese) every day, and her products are sold in the canteen of a nearby school. The kids love her snacks, and the delicacies always sell out. Because of her thriving small business, she now earns PHP500 (US$9.25) per week — a big difference from what she earned doing her neighbor’s laundry. Milagros took her extra income and invested it in a savings group. So far, she has saved PHP130 (US$2.40) in total, and she plans to use it to expand her little business. Milagros also benefited from the health lessons. Her new knowledge came in handy too when her son Arjay choked on a rambutan seed. She remembered the first-aid lesson about choking and was able to save her son. Attending Transform gave Milagros a boost in her self-confidence. She proved to herself that despite of her lack of formal education, she could still continue learning and become a better wife and mother.